If I say “purple cow”, “dancing babies”, “ice-cream with a bite taken out of it” … there is a safe bet that each of these clues alone are enough to allow us to guess which brand it’s referring to. Because a brand is not an abstraction, but an entity that beyond its name, not only expresses values and a promise but also embodies signs. A color, a symbol, a shape, a lettering design, a picture etc … So many elements that contribute to the makeup of brand identity, ensure its uniqueness in a competitive environment, and more globally, allow it to emerge in a society saturated with messages. How then can a brand become iconic by capitalizing on its identity codes? An in-depth look. Two years ago, Selfridges launched the ‘No Noise’ operation in its stores. The stated goal was: allow everyone to escape from the constant everyday noise for a brief moment. In this respect, the English retailer opened a ‘Quiet Shop’: a corner offering ‘cut-price’ products (brands had simply been erased).Behind the deliberately provocative position of a distributor displaying an anti-marketing position, this event had notably confirmed the intrinsic power of certain identity codes, such as the volume of an object or label cutting. As a matter of fact, brands, even when invisible, continue to be expressed through key visual elements that are present in the minds of consumers who intuitively make the connection. A brand exists above all through recognition. Brand positioning is the cornerstone of communication strategy, the common thread that links all its statements, regardless of the medium concerned. The goal for each brand is to materialize this positioning through proprietary codes, whose recurrence will in turn give weight to the brand. Indeed, the simultaneous presence of certain elements of identity on different media results in memorization. Regarding this point, we found that advertising and packaging, long thought of as separate matters, are increasingly visually matched. To avoid dispersing their message, brands capitalize on the respective strengths of these two types of communication media, which actually feed off each other. Traditionally, brands have chosen to benefit from the notoriety of an advertising campaign to export a key component of this onto their packaging. For example Oasis, who given the success of its little fruit characters on TV and notably on the web, has finally incorporated these zany characters onto its packaging. Adding a touch of coherence, these antiheroes now liven up the packs and are sometimes used to enhance the visibility of certain nutritional commitments. Another example: Côte d’Or whose latest generation of TV copy inspired a new packaging key visual (along with the creation of a new chocolate bar shape). 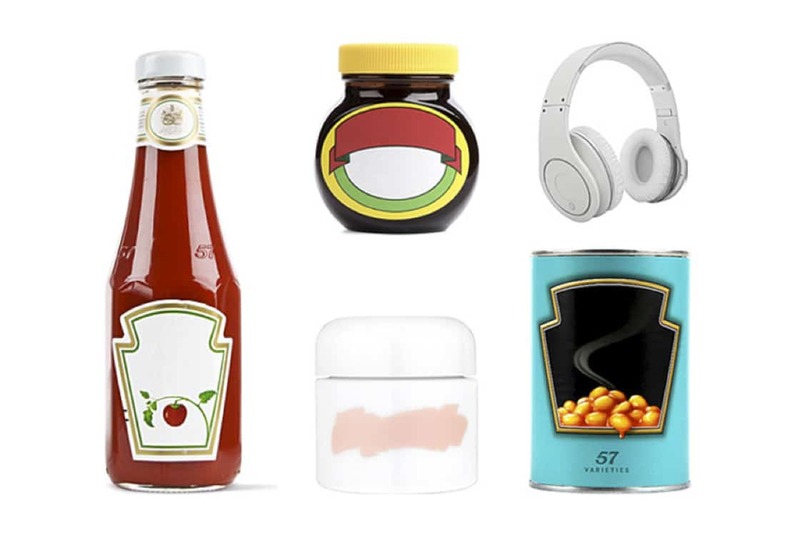 Even more unusual is the strategy used by some advertisers, who instead are choosing to put their packaging at the heart of their advertising copy. Just like Coca-Cola who uses its legendary bottle in each of its campaigns, the pack is increasingly elevated to star status. Also the components of mix packs, because they represent the perfect expression of the values and promise of the brand. Consequently, they are used to convey to consumers the advertising message. The brands, Danio and N.A.! have recently been displayed in the street exploiting the special features of their packaging and the unique personality of their logo. Developing synergy between the various media via the repetition of key identity codes appears to be an effective communication strategy but beware of systemizing! Although pub and pack are incontestably complementary, they also involve two different domains governed by their own rules. A beautiful advertising scene does not always make a good packaging key visual. Faced with the challenge of in-store shelf introduction and limited to reduced surface expression, the pack is inevitably less narrative than advertising. Similarly, packs in general do not possess the same potential as star advertising campaigns! Each communication medium must serve the brand platform but without betraying its prerogatives which could result in rejection by more experienced consumers who are increasingly wary of opportunistic marketing strategies.